When a conflict arises with a contractor, you have several options. NO COST Kitchen table conference or phone call between you, the homeowner, and contractor. Prepare by looking at your contract. Find any paper records that are important. Bring to the table family members and others. Pick people who have been involved in talking with the contractors. Write down notes in advance so you won’t forget to discuss something important. Listen carefully if the contractor explains something. Even though you are not an expert, you can offer suggestions. You can also offer ideas that other people suggest. If something has made you angry, have this discussion after you have cooled off. Name-calling, tears or other expressions of emotion make others uncomfortable. If others are uncomfortable, positive results and solutions are less likely. find alternatives to resolve the dispute. In mediation, the parties decide how to resolve the dispute. A mediator can be any neutral person or a trained professional. A neutral person is anyone not connected to either of the parties. Another option is to try a community mediation center. These centers offer a neutral outsider to help resolve the dispute. If you do not reach an agreement in mediation, either side can still go to court. Time: Avg., 1-3 hours within one week of dispute. Several sessions may be required. Note: Mediation usually works best when the disagreement is still fresh. In Maryland, one option is arbitration. Arbitration is a process where the parties who have the dispute agree that a neutral third party can decide the outcome. The arbitration may be "binding". "Binding" means that the parties also agree that the decision will be final and will not be appealed to a court. This must be agreed upon before the arbitration starts. Time: 2-10 hours; may take several weeks or more to arrange if there are few arbitrators in your area. Cost: Avg., $300+ (If you live in an area that has very few arbitrators, then you may have to pay the travel expenses for an arbitrator to come to your area.) 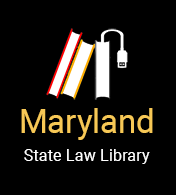 Read the Law: Maryland Uniform Arbitration Act, MD Code Courts & Jud. Proc. 3-201 et seq. Note: The American Arbitration Association provides more in depth information about arbitration on their website. Time: Depending on the county, the small claims process on average can take between two to six months. Sometimes it takes longer. Hire a business lawyer for negotiation and/or to take the case to court. Parties hire attorneys to negotiate for them. Direct communication between parties is difficult or prohibited if they are represented by a lawyer. The end result in court is a judge’s decision. Time: May take months or years for formal fact-finding, trial and decision.